Have you thought about writing a screenplay? Or turning your novel into a screenplay? Better yet, what does it take to get your screenplay in front of agents? Get the story on how it’s done! 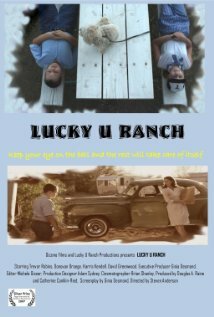 Although Ginia Desmond has been writing screenplays for many years, the role of producer was never on her radar until Lucky U Ranch presented the opportunity. Knowing little about what’s involved, besides making sure checks don’t bounce, she surrounded herself with a great team of professionals. During her decade of optioning scripts, meeting filmmakers, working with other screenwriters and producers, she discovered she knew a lot of the right people, who in turn knew others willing to come on board. “ Growing Pains,” the screenplay Lucky U Ranch is based on, won a Silver at the Page International Screenplay Awards. Producing a second feature is yet to be determined, but Ginia will never stop writing. She holds a MFA in Studio Art from the University of Arizona, and founded an import company she ran for 25 years. Heather Hale is an Independent Film and Television Director, Screenwriter and Producer, approved for NBCUniversal’s special annual million dollar development fund, pre-qualified by the International Film and Television Alliance (IFTA), the non-profit that runs the American Film Market (AFM). 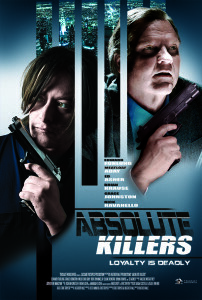 Ms. Hale directed, produced and co-wrote Absolute Killers, a thriller that starred Edward Furlong (Terminator 2), Ed Asner (Up, Lou Grant) and Meat Loaf Aday (Fight Club, Rocky Horror Picture Show). Shot on two Red Cameras in North Carolina, this feature was picked up by two domestic distributors who marketed it to foreign buyers at the 2011 AFM and 2012 Cannes Film Festival and Market, respectively. It will be available at Walmarts and Best Buys across the country in mid August of 2014. Here’s the latest trailer.